Company seat is determined mainly for starting businesses, which will help saving money for rental of equipment, as well as businesses run by the operation of the company need office space. Instead of renting office space may be used only to our clients rental service headquarters (officehousing), without the need to pay higher rent for several office. Establishment and operation of the company headquarters will provide us at our premises. Rent includes registration office for the company on lucrative address in Bratislava - in high-rise building "Vienna Gate" Kopcianska 10, receiving and storing the post and e-mail notification about received post by email. 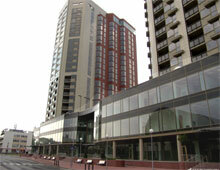 The building has 24 hour security service and reception. Straight in the building you can find branches of several banks (Tatra banka, Slovenska Sporitelna), Business Center (Tesco) and many smaller shops. Rent of the company seat includes registration office for the company in the modern office complex near the center of Bratislava on Klincová street. 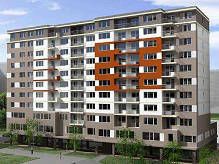 Rent includes receiving and storing the post and e-mail notification about received post by email. In the building you can use the services of a notary, legal and accounting offices, and many other companies. 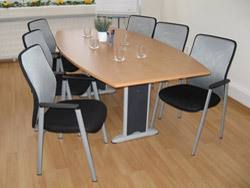 On this address is possible rental of meeting rooms with refreshments with a capacity of 6 people. Rent of the company seat includes registration office for the company in the historical building in the center of Bratislava on Konventná street. Rent includes receiving and storing the post and e-mail notification about received post by email. 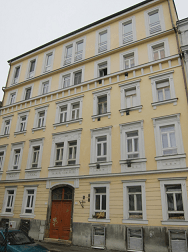 Rent includes registration office for the company in modern multifunctional building in Bratislava on the Osadná street, receiving and storing the post and e-mail notification about received post by email. Discount price is valid for payment in advance for 3 years from the date of contract for the company's headquarters in Bratislava. The price is valid from the price list for a shorter billing period of paying. Rent includes registration office for the company in modern multifunctional building in Bratislava on the Vysehradska 12, receiving and storing the post and e-mail notification about received post by email. Discount price is valid is valid for payment in advance for 3 years from the date of contract for the company's headquarters in Bratislava. The price is valid from the price list for a shorter billing period of paying. Fee for company seat includes registration office for the company in a historical building in the historic center of Bratislava on Michalska street. 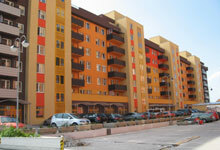 Our building is adjacent to the historic building of Michalska gate. Frequently used service in the use of virtual office is a short-term rental of meeting rooms directly at the address of your company. In our premises at Klincova Street can be rented air-conditioned meeting rooms with refreshments with a capacity of 5 persons, at the Michalska street for 6 persons and at the Kopčianska street for 5 people. The service can be ordered at establishing a new company, buying ready made companies, but also as a separate service for existing as a company. 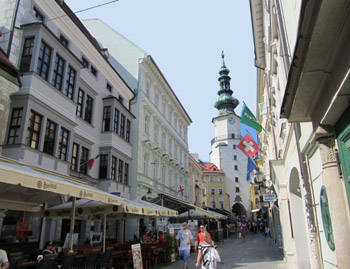 Registered office for companies is provided in accordance with the legislative conditions of the Slovak Republic. Except of office can be ordered additional services from the menu, provided under the name of the virtual office. 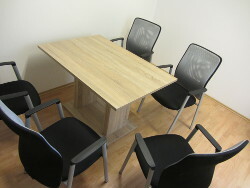 Our company offers Ltd. company formation in Slovakia too. If you need a company immediately you can buy existing Ready Made Company with which you can start a business to 24 hours!